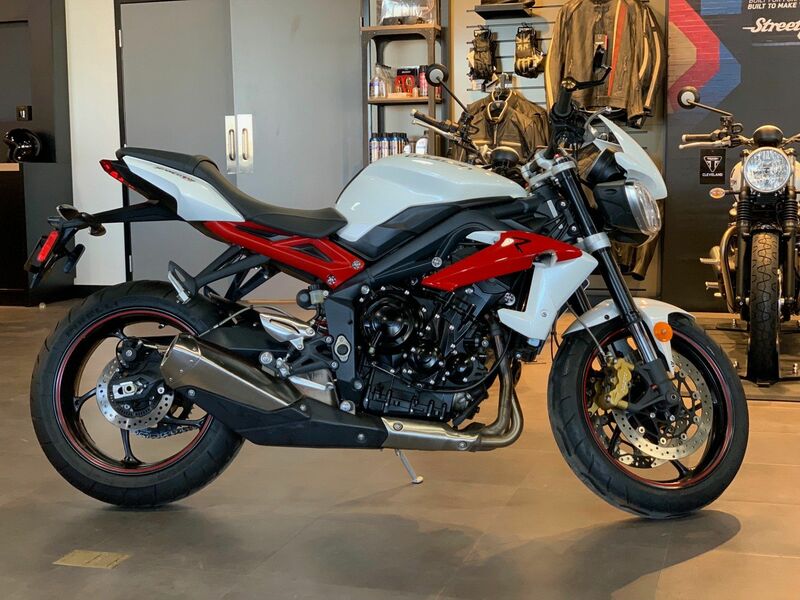 This used 2013 Triumph Street Triple R ABS Motorcycle for sale has 7672 miles. The color is Crystal White. It is offered for sale by Triumph Cleveland and located in Cleveland, OH. The listing # is 13664. 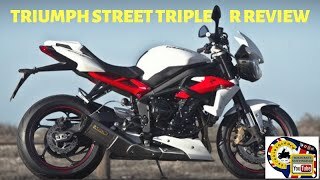 Street Triple R ABS Triumph&apos;s engineers have honed this roadster to perfection, giving it supersport specification, suspension and brakes. 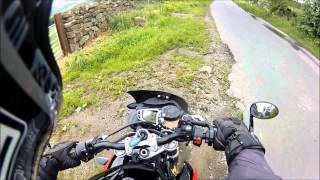 With power, torque and even more excitement, this is the most fun you can have on two wheels. Its lightweight chassis is even more dynamic, delivering greater levels of agility and precision while keeping you firmly planted. 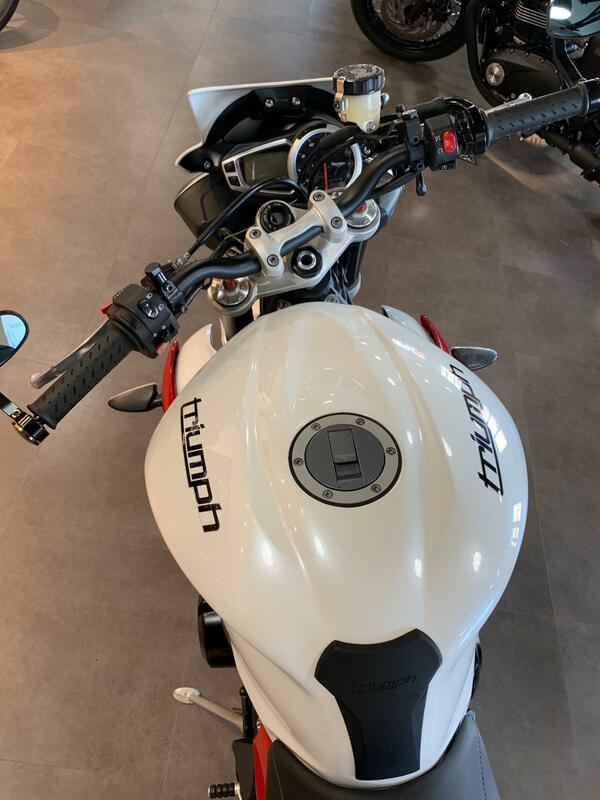 Fitted with additional adjustable front forks, an RSU with both pre-load and damping adjustment, the Street Triple R offers renowned ride quality, handling and control. The liquid-cooled 12-valve triple, combined with a close ratio 6-speed gearbox produce an exhilarating ride, and the under-engine silencer helps lower the center of gravity and improve handling. The Nissin radial 4-piston brakes are built to match the bike&apos;s high performance, coping easily with higher speed and rapid deceleration. And the Street Triple R features, as standard, state-of-the-art anti-lock brakes that can cope with even the hardest braking. Also, because the ABS system is switchable, it can be easily deactivated whenever necessary via the instrument panel. (It will then automatically re-activate when the motorbike is re-started.) 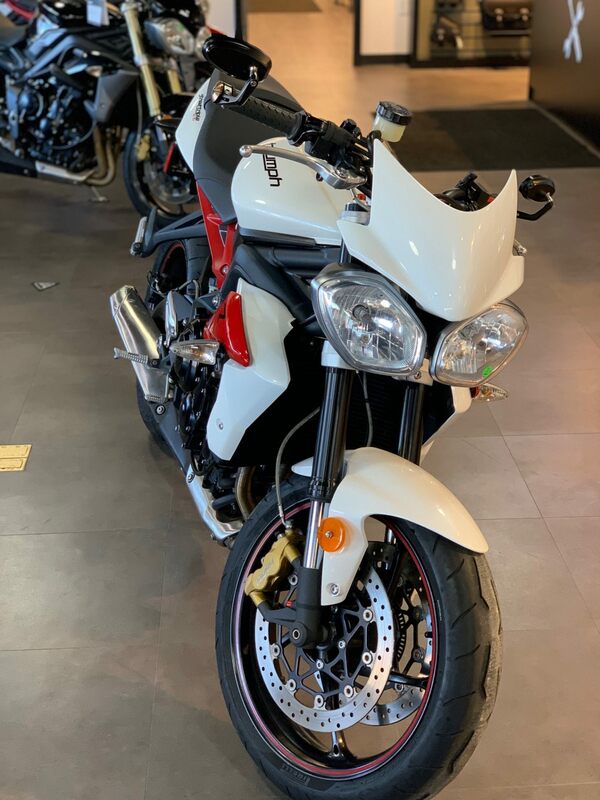 The Street Triple R has distinctive good looks too, with stylish brushed metal finishes, aggressive headlights and a choice of colors complimenting the dark powder coated engine along with the telltale red rear subframe, red side radiator cowls, and red pinstripe detailing to the wheels. 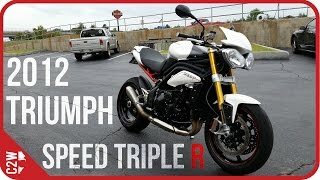 The Street Triple R is not a subtle motorbike. It&apos;s a bike with unmistakable attitude, for riders who want to take it to the max. The average price of a 2013 Motorcycle for sale is $8762.69. This model is priced $2270.69 less. The average price of a 2013 Triumph Motorcycle for sale is $7246.60. This model is priced $754.60 less. 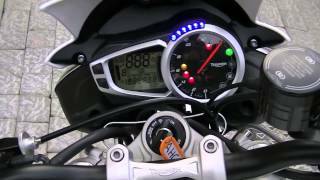 The average 2013 Triumph Motorcycle for sale has 12541 miles. This model has 4869 less miles. 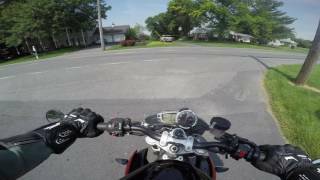 There are 266 Triumph Motorcycles for sale within 150 miles of Cleveland, OH. 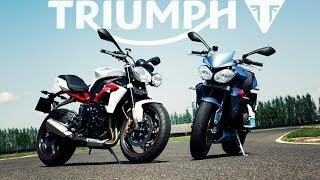 If you looked at the average 2012 Triumph Motorcycle for sale it would cost $169.05 less. If you looked at the average 2014 Triumph Motorcycle for sale it would cost $1190.10 more. 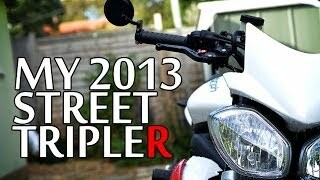 The average price of a 2013 Triumph Street Triple R ABS Motorcycle for sale is $6493.50. This model is priced $1.50 less. 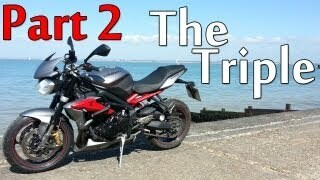 The average 2013 Triumph Street Triple R ABS Motorcycle for sale has 19273 miles. This model has 11601 less miles. 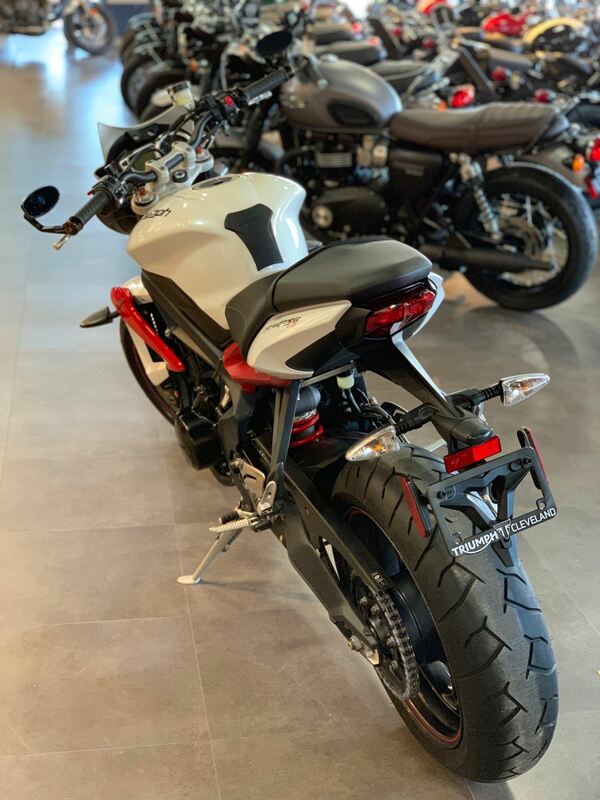 There are 2 Triumph Street Triple R ABS Motorcycles for sale within 150 miles of Cleveland, OH. 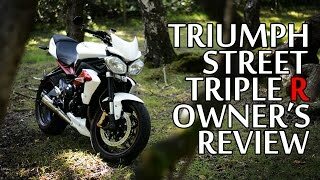 If you looked at the average 2014 Triumph Street Triple R ABS Motorcycle for sale it would cost $393.00 less. 5. 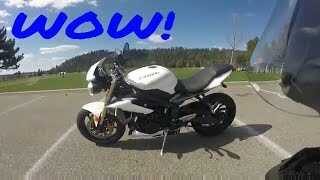 2013 Triumph Street Triple First Ride and Review!